Dana & her dad kayaked 4 hours to pick me up on Orcas Island, and I think at that point she was pretty happy to hang out in the center of our triple while I took over paddling. We headed north to camp on Clark Island, which put us in position for paddling to Waldron the next day. Since Dana would have plenty of non-paddling ride time, she became chief dolphin counter and eagle spotter. I also gave her a grease pencil, which other kayakers would use to mark compass bearings on their deck for glancing at easily. She had free reign to decorate our kayak, and used her creativity to document our journey. If you look carefully, you’ll see she’s noted “awesome person” with an arrow to herself. Her dad got “primate” with a similar arrow pointing at him. 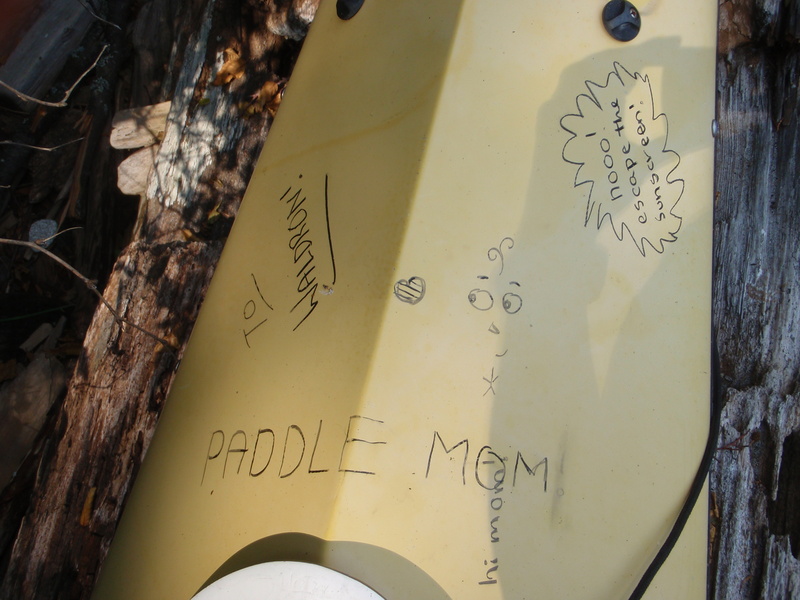 She mostly wrote while we were paddling, but she did write “paddle mom” and a few other comments in front of me before we launched. The grease pencil was well worth it, and the illustrated kayak makes me smile. I wonder how long we can leave it on before it becomes permanent. On the other hand, perhaps the artist needs a clean slate for her next thoughts. Some kids express what they feel through writing… and you’re kid is one of them. Only she wrote it in your kayak. You should have included note pad in your camping list. But I’m sure those will not be permanent. I have to be honest vandalized kayak does not look good. She does indeed enjoy expressing through writing, and always brings a journal on our trips. 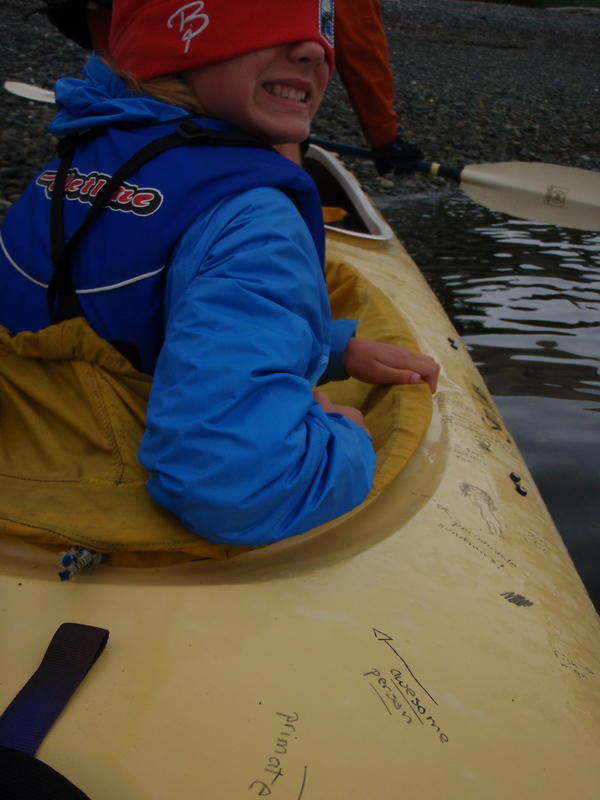 Writing on our kayak was harmless to it and a new twist she got great enjoyment from. Your perspective is interesting. Where you see graffiti, I see artwork.